When you’re shopping around for a car you want to get the best vehicle possible. Looking through all the different models it can take some time to narrow things down. When you finally have a car in mind the hardest part is going to be picking the right trim level. Going up to the higher trim levels brings with it a lot more features, that’s pretty obvious. Upgrading from the standard trim can feel like you're looking at an entirely different car. 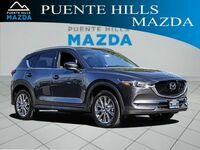 The 2019 Mazda CX-5 has a few solid choices when it comes to trim levels, but none of them are quite as good as the Signature line. We’ll take a look at this trim and see what it has to offer. There’s even more to it than that, but the best way to find out what the CX-5 has to offer is to see it in person. If you want to experience what luxury feels like then stop by our dealership and schedule a test drive with the 2019 Mazda CX-5 Signature. You can also call ahead with any questions and we’d be happy to help. 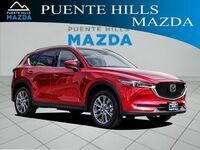 Interested in a Mazda CX-5 Signature?